SunDance Graphics, in addition to offering the widest selection of Fine Art Prints, is also an Orlando Florida based Commercial Printer. 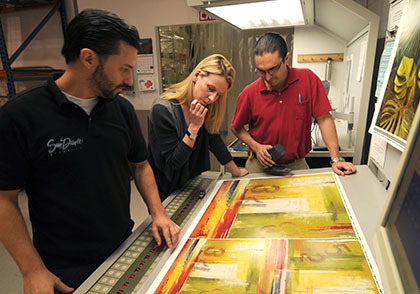 From digital printing to full-size offset commercial printing, SunDance Graphics is the place Orlando businesses look for when choosing a printing source. Our commitment is to make your job easier by offering strategic solutions to today’s complex business challenges. Our specialties range from simple black and white prints to full color digital printing. Whether it’s a 500 copy full color rush job to be delivered to the convention center the next day, or a 10,000 pocket folders, or brochures, SunDance stands ready to earn your business and become your first choice for all your Orlando printing .